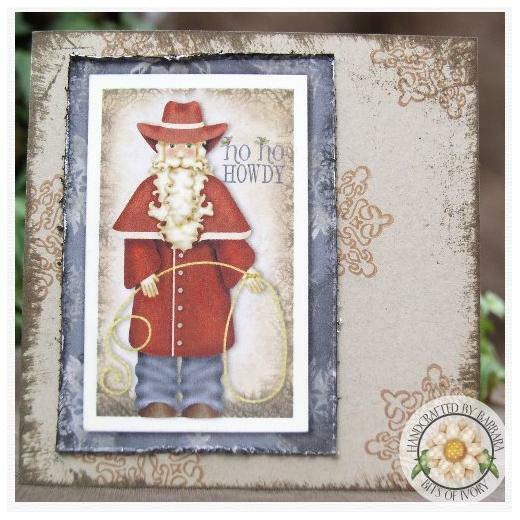 Greet this holiday season with a Ho Ho Howdy! 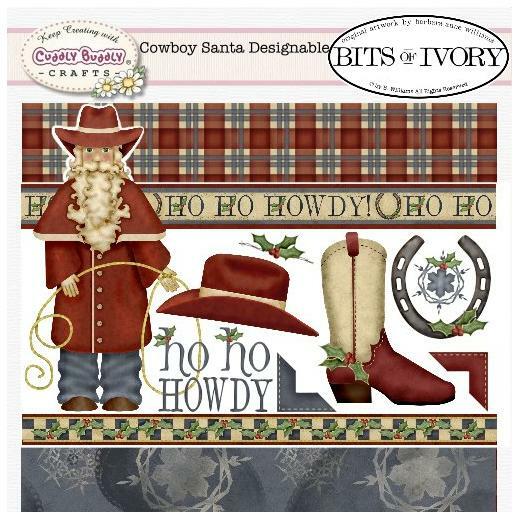 In addition to the Cowboy Santa, this set by Barbara Anne Williams also includes a cowboy hat, cowboy boot, horseshoe, snowflake, barbed wire holly and coordinating photo corners. The "Ho Ho Howdy!" and checkered holly borders as well as the two 8 x 8" plaid and snowy paisley backgrounds make this set ideal for your candy wrapping, scrapbooking and paper crafting projects this season.